I have been dying to share this recipe. My hubby loves garlic and sometimes I like it too. You just have to be careful what you do with the garlic so it's not too overpowering. Raw garlic can be too punchy and we've had plenty of bad pizzas loaded with so much raw garlic that it burns your tongue. And then some places overcook it so the food is loaded with bitter, brown chunks that ruin the meal. Here, I gently fried the garlic in olive oil, just to get it a little toasty. It's not bitter, not too overwhelming. Garlic lovers should definitely give this a try. 1. Bring about 2 quarts of water to boil with 1 teaspoon of salt. 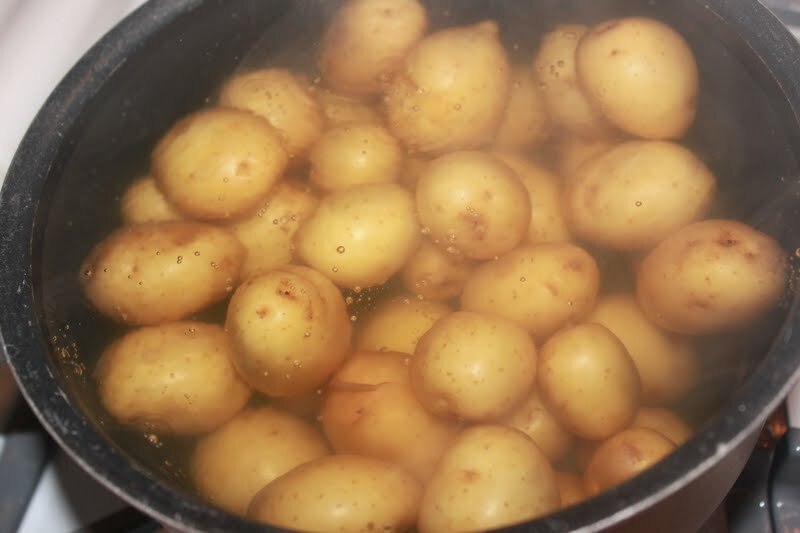 Add the potatoes and boil about 15 minutes, or until potatoes are tender. 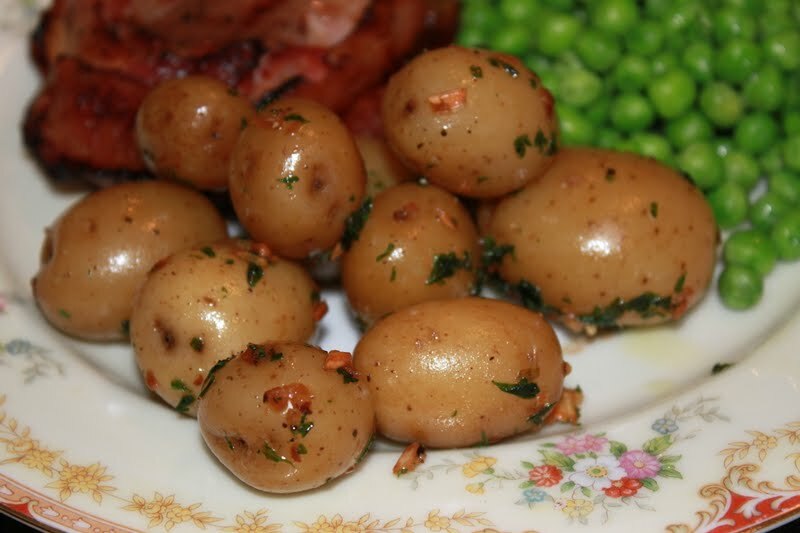 Drain potatoes and just let them sit while you proceed. 2. 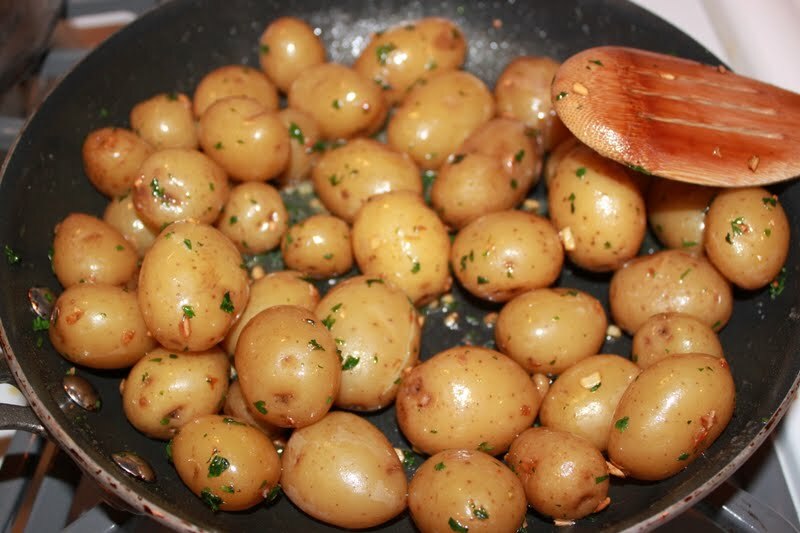 In a frying pan, combine the olive oil and garlic. Fry until garlic is slightly golden. Turn off the heat. 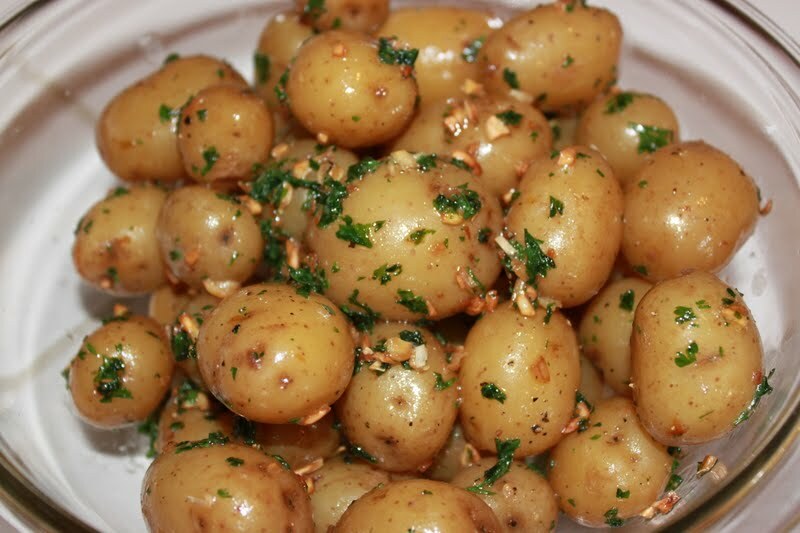 Add parsley, butter, and drained potatoes. Season with freshly cracked black pepper. 3. Mix well so all potatoes are covered in buttery sauce. Transfer to your serving dish making sure to also scrape up the parsley and garlic bits in the pan. Makes about 6 servings. I recommend serving this with a nice steak.